A 13-month ban from competition that was lodged against world champion Norwegian cross-country skier Therese Johaug on Friday remains subject to appeal by a variety of players, not least Johaug herself. A member of the international ski federation FIS’ board reportedly told media in Finland Friday night that an appeal to the Court of Arbitration in Switzerland (CAS) was likely. Norway’s national commercial station TV2 reported that FIS board member Martti Uusitalo told Ilta-Sanomat that he had the “strong impression,” based on discussions on the FIS board, that it’s “very probable we’ll appeal.” Uusitalo claimed the 13-month punishment handed down Friday by a judicial commission of Norway’s athletics federation (Norges Idrettsforbund, NIF) was not based on either the regulations of the World Anti-Doping Agency (WADA) or the legal principles and precedent set by the CAS. “Therefore it’s best for all parts that the CAS investigate the case thoroughly and that we get a fair conclusion,” Uusitalo said. The verdict of a 13-month suspension, one month less than what Antidoping Norge had recommended, can also be appealed by WADA, Antidoping Norge and the International Olympic Committee. Johaug can also appeal, and she stated in a press release Friday that she feels a 13-month suspension is still harsh punishment “for using a lip cream.” It means she’ll still miss the upcoming World Championships in Lahti, this year’s entire World Cup season and that she won’t be able to train again with Norway’s national team until the autumn. It’s better than 14 months, though, because it means she can compete in World Cup events after November 18, the Tour de Ski and, most importantly for Johaug, the 2018 Winter Olympics in South Korea. She has earlier said that’s what’s keeping her motivated as she trains hard every day, on her own with a private coach, mostly in the mountains around Sjusjøen in eastern Norway. 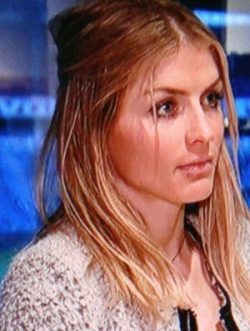 Johaug’s manager, Jørn Ernst, told Norwegian Broadcasting (NRK) Friday night that Johaug, her lawyer and others around her would study the verdict over the weekend and then decide on whether to appeal to CAS. There’s always a risk CAS will extend her suspension on any appeal. He said he of course respects anti-doping regulatons and the verdict handed down on Friday, and that regardless of the outcome, Johaug will be welcomed back to the ski team as soon as she’s allowed to rejoin.